Did you know that if you registered for a CBA LPMT CLE program or training class you can go back and watch the recording any time? Simply log in to the Chicago Bar Association website and look under “Webcasts” and then select “My Seminars” from the drop down menu. If you missed a session, the links to the recordings will be available on the LPMT site listed in the Program Archives link under “Upcoming Programs”. Just register to watch. 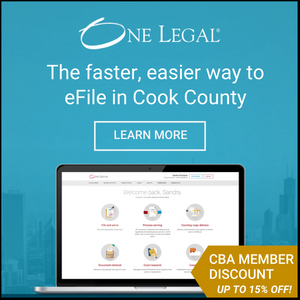 Also, all Chicago Bar Association members have access to previous progam materials, as well as white papers and other information. Click on the “Articles (CBA Members Only)” tab in the site header.